If you are interested in our products, You are welcomed to contact us for price list. 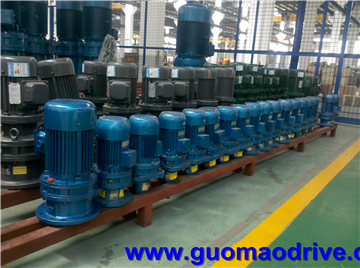 Guomao brand cycloidal gear reducer is widely used in many industries such as Textile manufacturing and food industry. it is small but very good quality. 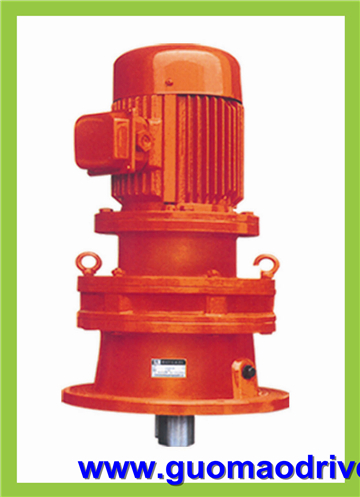 This kind of gear reducer can divided into three parts, the input , the reduction part and the output shaft. There is a double eccentric locking collars in the input part. when input shaft turns a round, the eccentric locking collars will also turns a round so that transfer to the reduction part. to make the output shaft turns. so it make torques. Efficiency can get to 95% . Usually, there are two mounting way and this is vertical mounting.It can be widely used in industry of Coal, steel, machinery, chemical, textile, mixer etc. 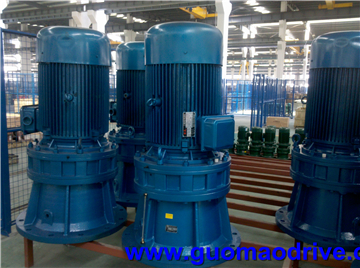 This can have one stage, two stages and three stages reduction gear. If you want it with flange, we can make. the price with flange or without flange is same. The seals and the bearing are used with SKF brand with good Performance. this gear reducer mainly includes B and X series, this two kinds are same inner fuction but the dimension. but mostly, the important part is same.